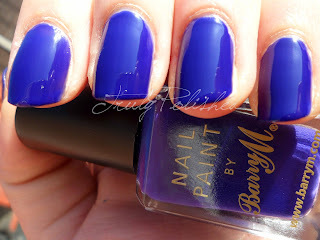 Truly Polished: Barry M Indigo and a little surprise! Barry M Indigo and a little surprise! Another really late post! At the moment I seem to be so busy during the day that I only have time to post really late in the evenings! Today I have a Barry M polish to show you. I used to really love Barry M and had a few polishes by them which I have now lost... This is the first one I've bought recently. I've seen it on a few blogs and really liked the look of it so I picked it up on my most recent trip to Superdrug. Indigo is a blue leaning purple creme. It was so easy to apply and went on with two coats. I thought for a minute it would be a one coater and it might have been if I was more careful but I was running out of daylight so I wasn't paying enough attention to my nails! 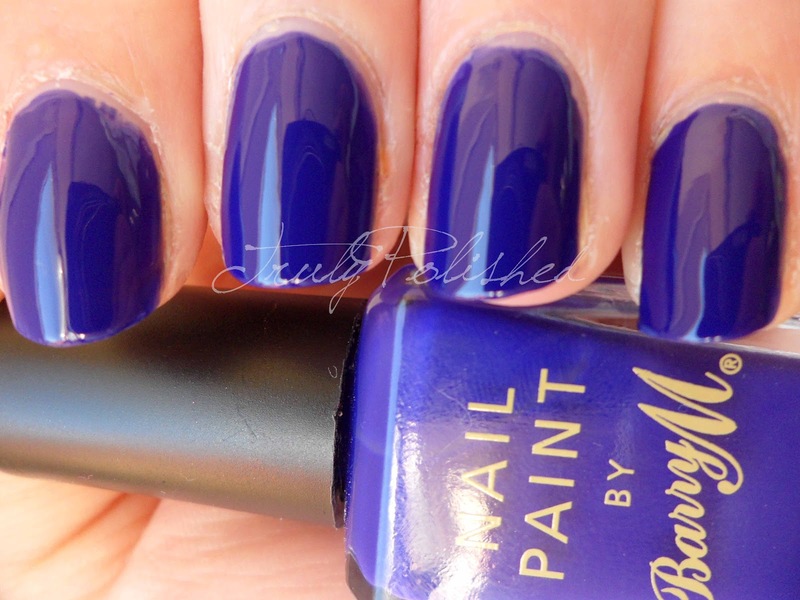 The pictures below show two coats of Indigo with no topcoat, this polish is super shiny! See a couple more pics and something a bit special after the jump! 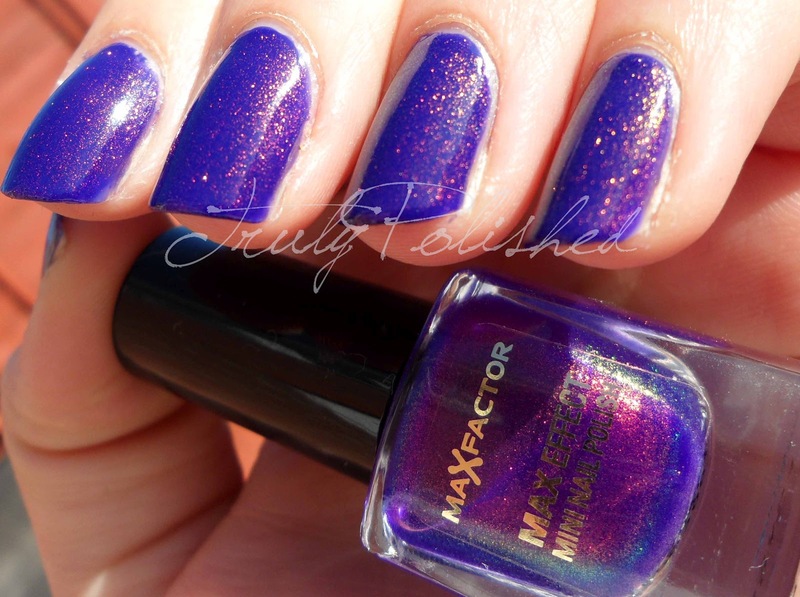 I have a confession to make, there is another reason I wanted to buy this polish. I've seen lots of swatches of Max Factor's Fantasy Fire over Revlon Royal which is a polish I don't own, and Barry M Indigo is the closest thing I could find to it. 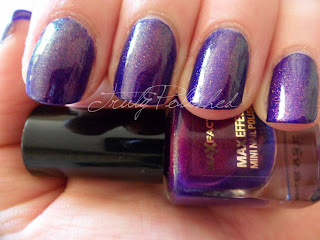 Of course once I had on Indigo I layered one coat of Fantasy Fire over the top. I thought it looked really pretty! If you love Barry M Indigo as much as I do, you can get it for £2.99 from Superdrug. I already have another layering idea for this because I love it so much!